In creating the ST150 , Stanton went back to basics and re-engineered everything. These “no nonsense” turntables have everything professional DJs need, and nothing they don’t. That’s why the ST150 (standard S shaped tone arm) and STR8.150 (“skip-proof” straight tone arm) are built first, and foremost with quality in mind. 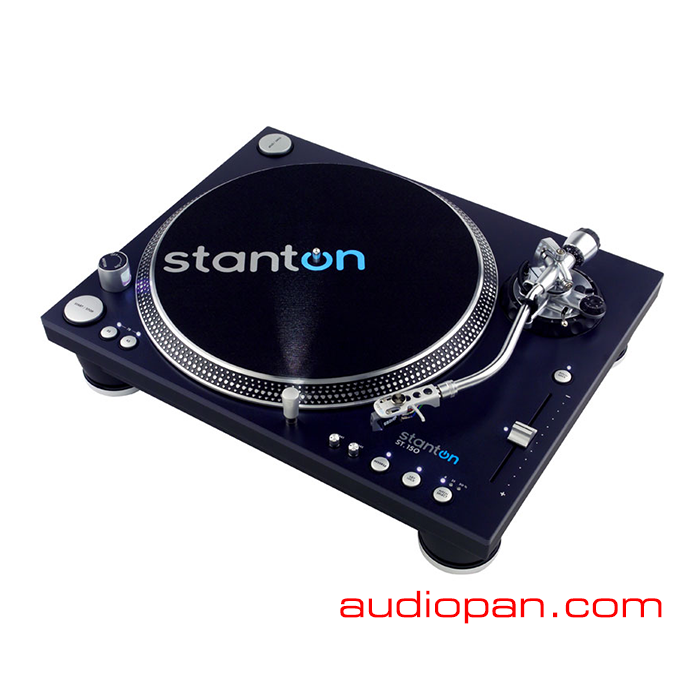 Both models offer durable construction designed to minimize feedback, industry-leading torque motor – up to 4.5 Kgf-cm, and an ultra-stable platter and tone arm. And with features like Key Correction, Reverse, up to 50% pitch adjustment, and S/PDIF digital outputs – the ST150 and STR8.150 are strong contenders for the title of Turntable Supreme.